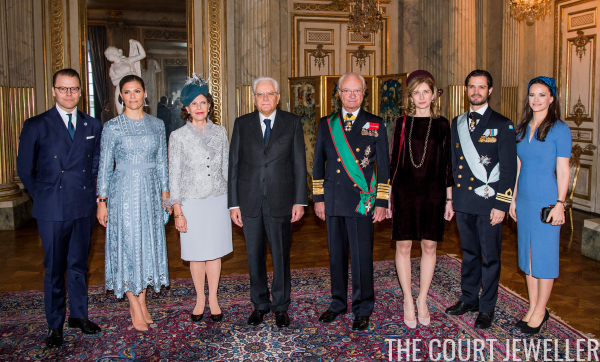 On Tuesday, the Swedish royal family welcomed the President of Italy to Stockholm for a state visit. Here's a look at the jewels worn on the visit's first day -- including three glittering tiaras! President Sergio Mattarella is a widower, so his daughter, Laura Mattarella, serves as Italy's First Lady. 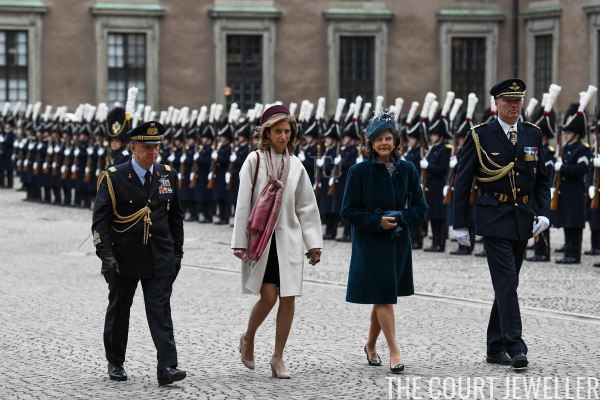 Queen Silvia hosted her during the official welcome ceremonies in Stockholm. 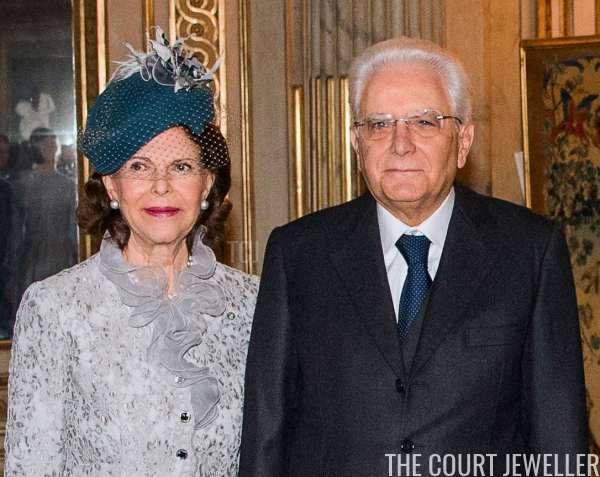 Queen Silvia, pictured here with President Mattarella, wore pearls for the welcome events. 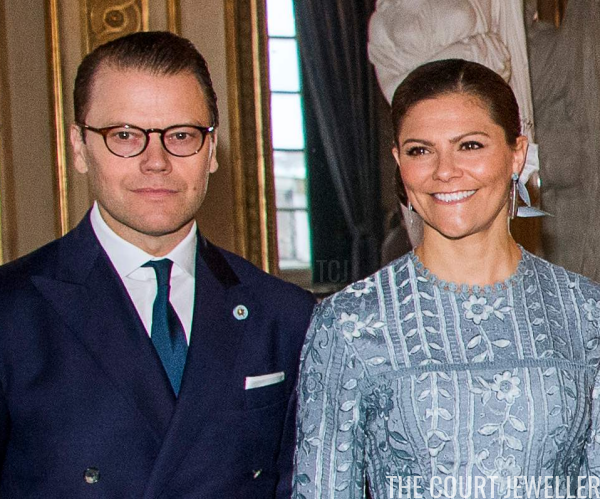 Crown Princess Victoria was lovely in a pair of delicate feather earrings. 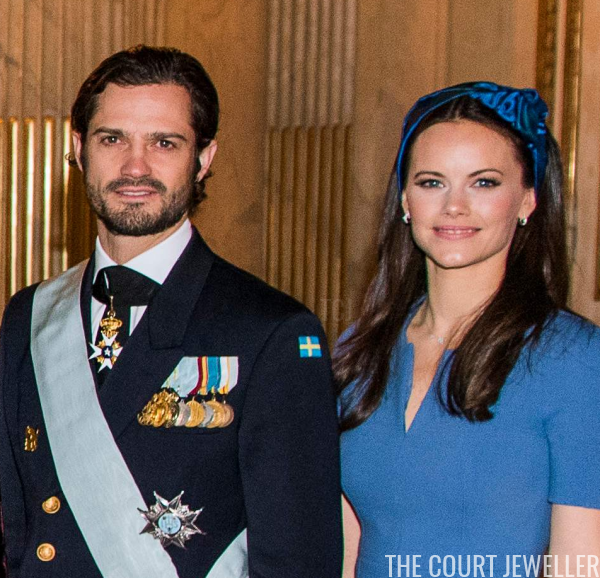 And Princess Sofia wore elegant, simple jewels, including her diamond hoop earrings. Here's a closer look at Laura Mattarella's jewels as well; she wore a pair of drop earrings and a sautoir-style necklace. 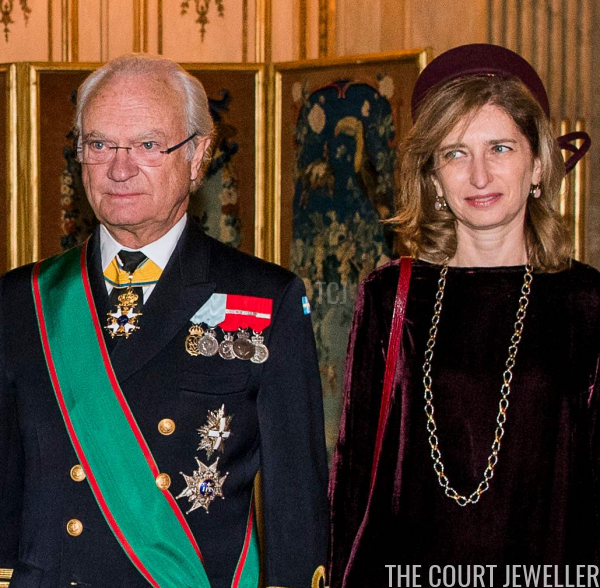 Beside her, you'll note King Carl XVI Gustaf wearing the distinctive green sash of Italy's highest chivalric honor, the Order of Merit of the Italian Republic.